Are you going on a camping trip with the image of cooking some food on the BBQ outside your tent in your mind? Alternatively, going to a spontaneous BBQ at your friend's house but they don’t own a BBQ? The BillyOh Table Top barbecue is perfect for these situations. 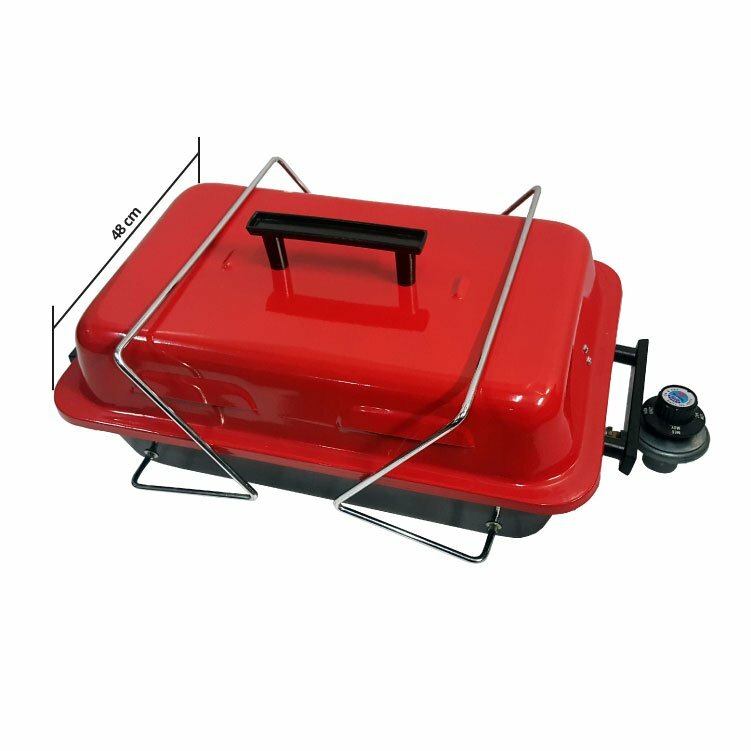 Simply carry your portable barbeque to wherever you want to cook, place it down and fold open the legs and you’re good to go! 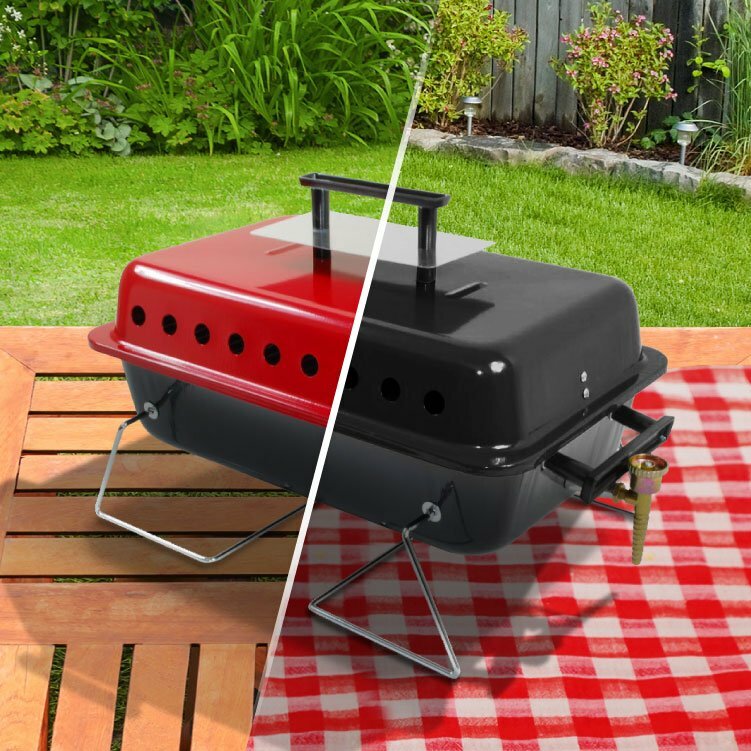 No longer do you have to miss out on enjoying a burger or hot dog on a warm summer's day with this brilliant portable BBQ, available in stylish black or red! 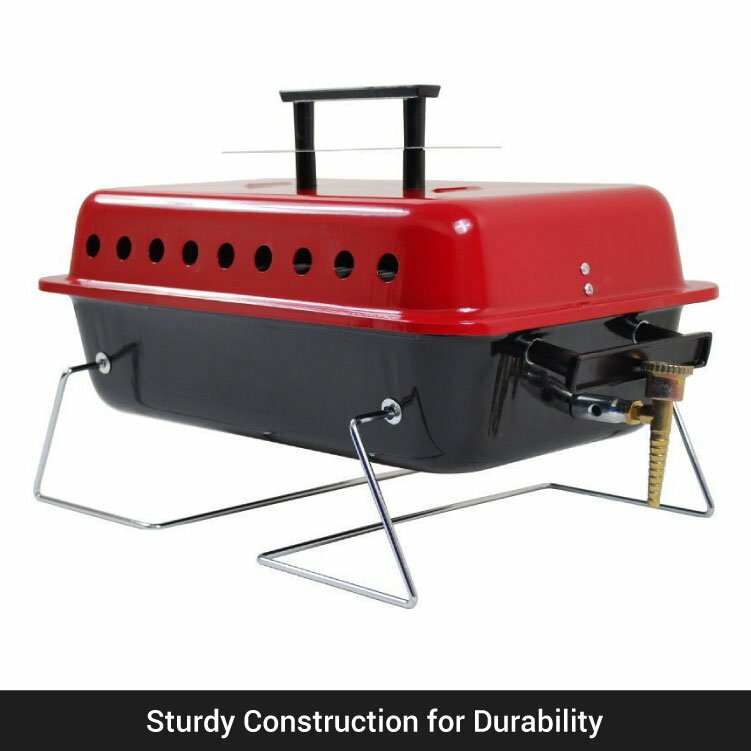 Looking for a BBQ that you can use in all kinds of weather? 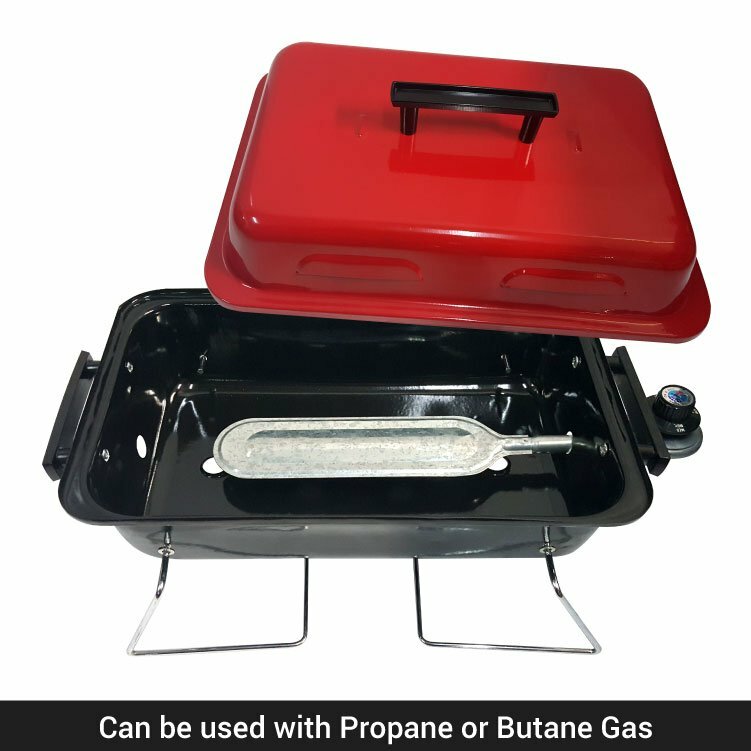 This BBQ can be used with both Propane and Butane gas. Therefore meaning if it’s cold you can use propane to cook your food, or alternatively if it is a warm switch to Butane for a cheaper alternative that is more efficient in the summer season. 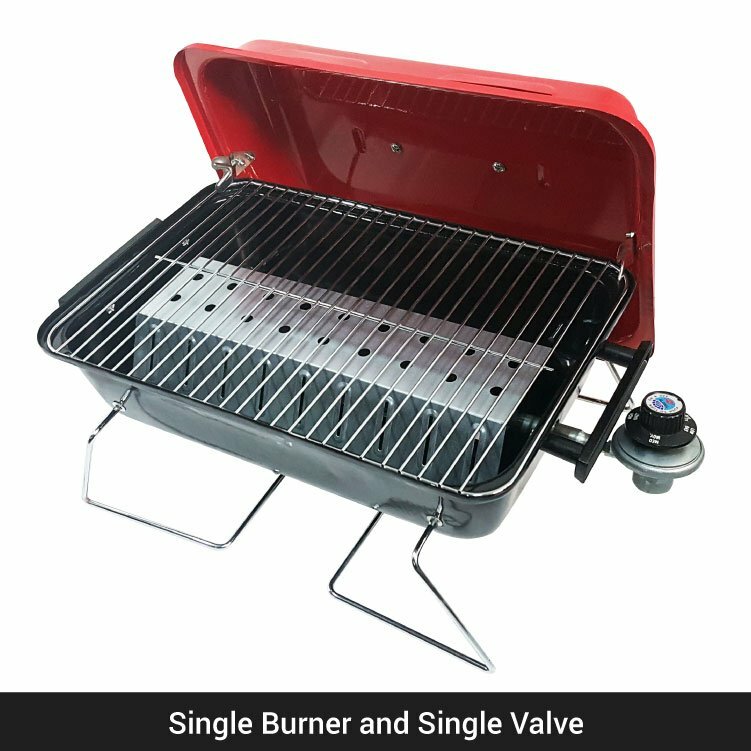 Therefore, this single burner and single valve BBQ is not only portable, it is versatile too! 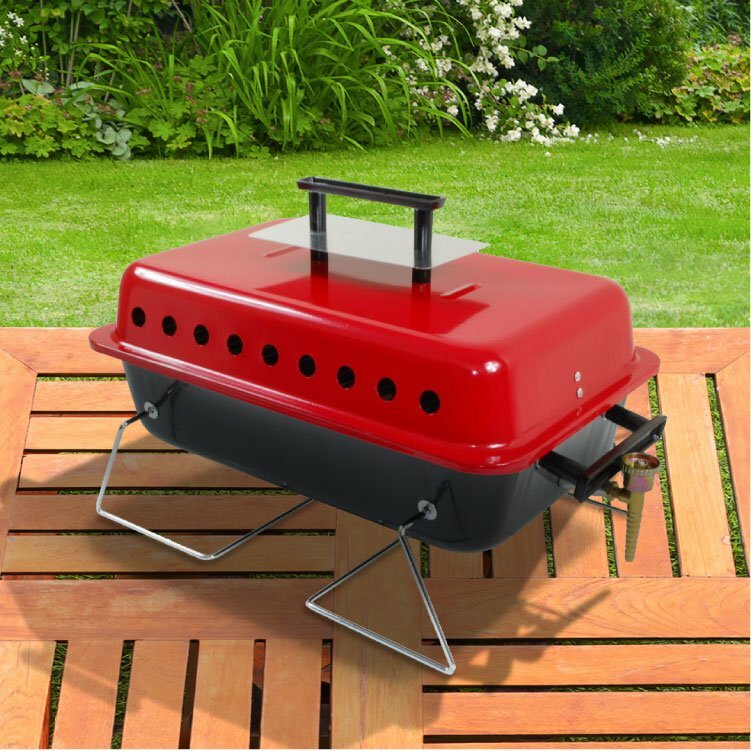 Of course, when looking at portable barbecues, the safety and durability features are an important consideration. The BillyOh outdoor barbecue has foldable legs. This makes it easy for transportation as the size of the barbecue when folded measures only L48 x W29 x H20.5. When the legs are fully folded out the cooking height measures 17cm, which is high enough to avoid touching the floor, whilst also being a comfortable height to cook on when seated on the floor. 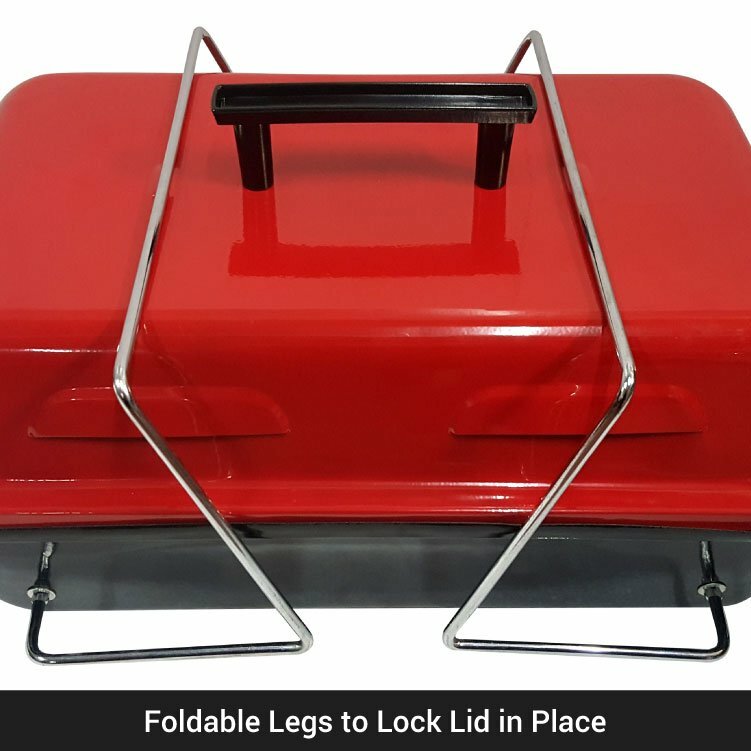 However, when getting to the cooking itself, the foldable legs lock the lid in place and provide a durable support in which to safely cook your food without the fear of the gas barbecue falling. 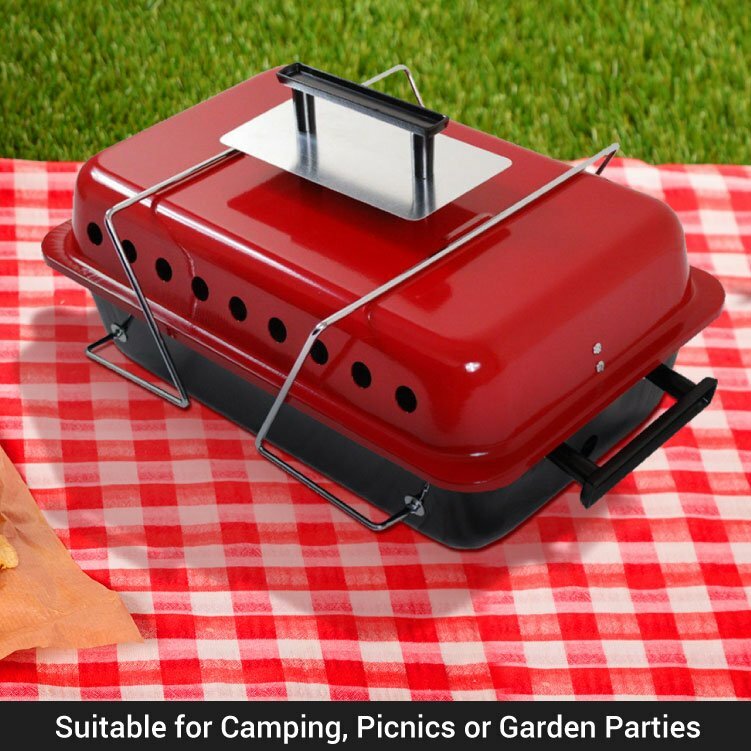 This tabletop barbecue has a fashionable design which will catch the eye of everyone at the park. 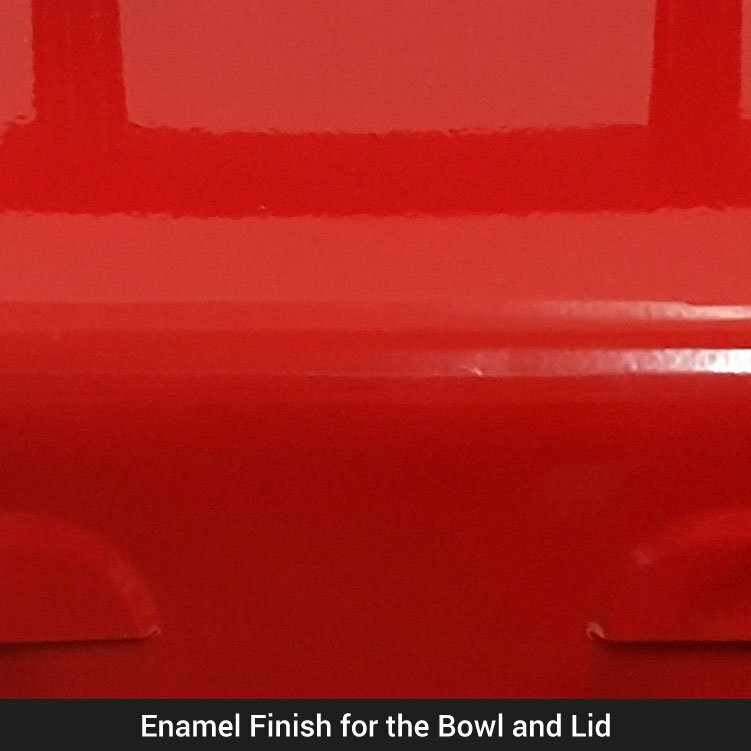 Available in black or red, the barbecue has an enamel finish on both the bowl and the lid meaning it is likely to stay looking stylish for a long time. 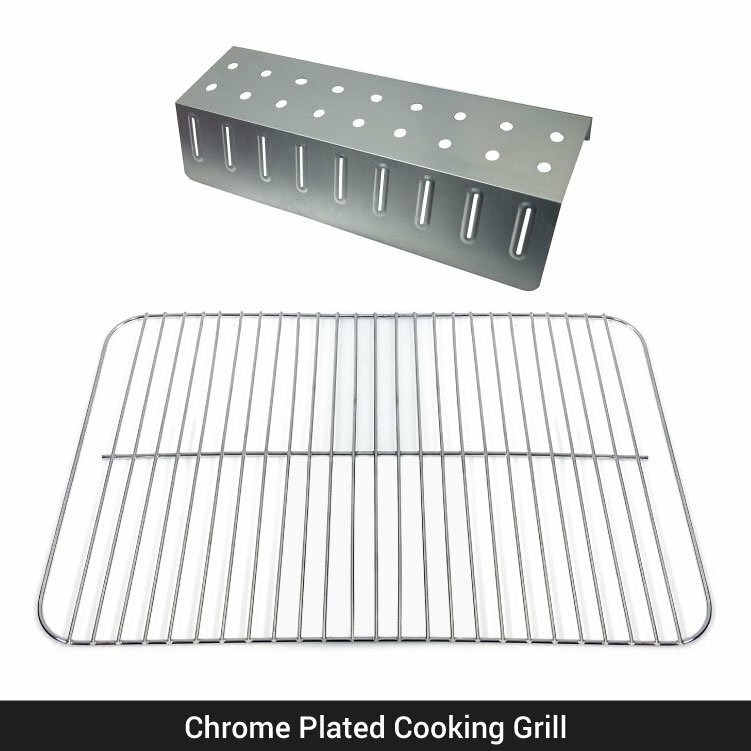 The barbecue itself has a chrome plated cooking grill with a grilling area of 40 x 26cm. 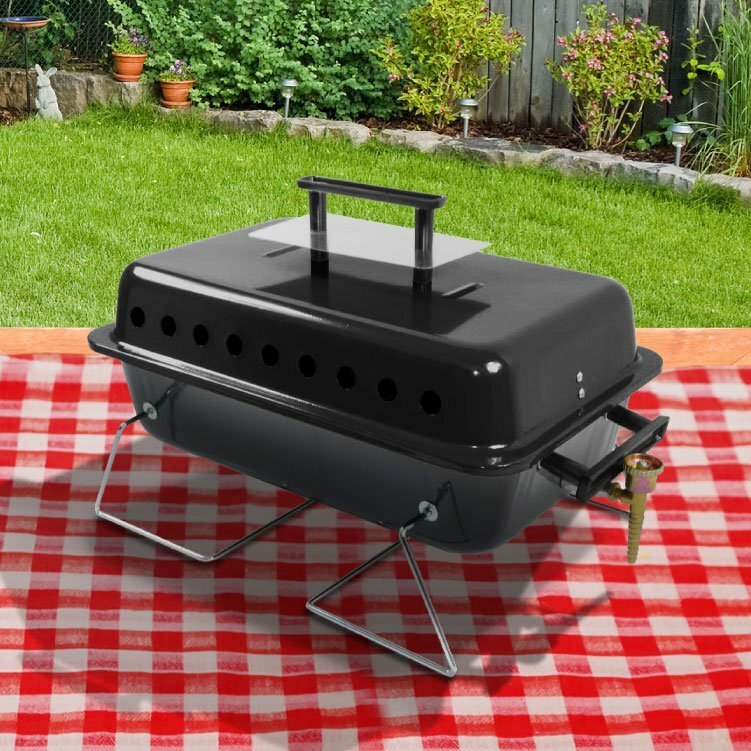 Not only is the barbecue perfect for transporting as it is compact and lightweight, it is also perfect for cooking, not to mention the fact it is easy to clean too! 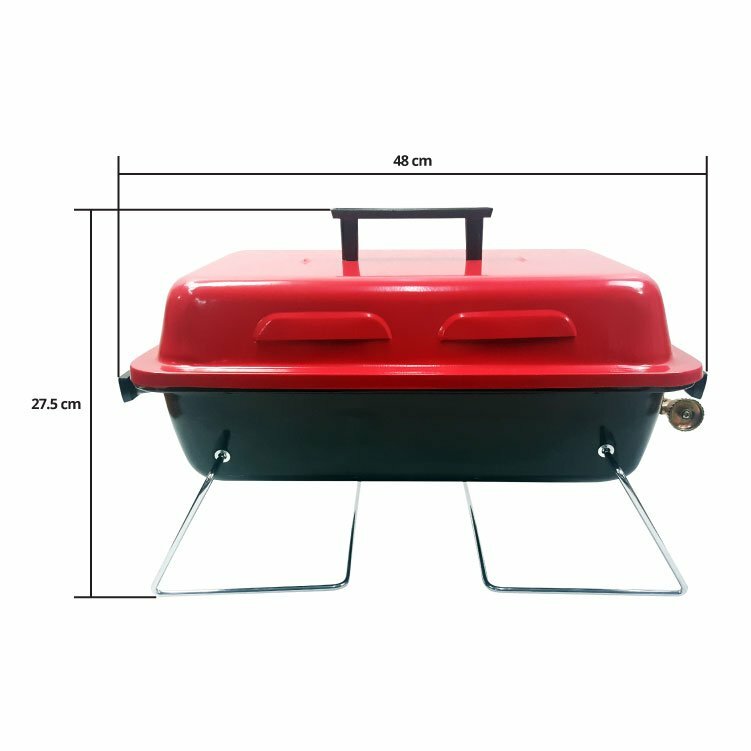 Assembled Dimensions 48cm x 27.5cm x 29cm 1'7" x 11" x 11" 48cm x 27.5cm x 29cm 1'7" x 11" x 11"
Cooking Area 40cm x 26cm 1'4" x 10" 40cm x 26cm 1'4" x 10"
Bowl Width 29cm 11" 29cm 11"
Bowl Depth 10cm 4" 10cm 4"
Cooking Height 17cm 7" 17cm 7"
Height Open (no lid) 17cm 7" 17cm 7"
Height Closed (with lid & handle) 27.5cm 11" 27.5cm 11"
Folded Size (with handle) 48cm x 20.5cm x 29cm 1'7" x 8" x 11" 48cm x 20.5cm x 29cm 1'7" x 8" x 11"